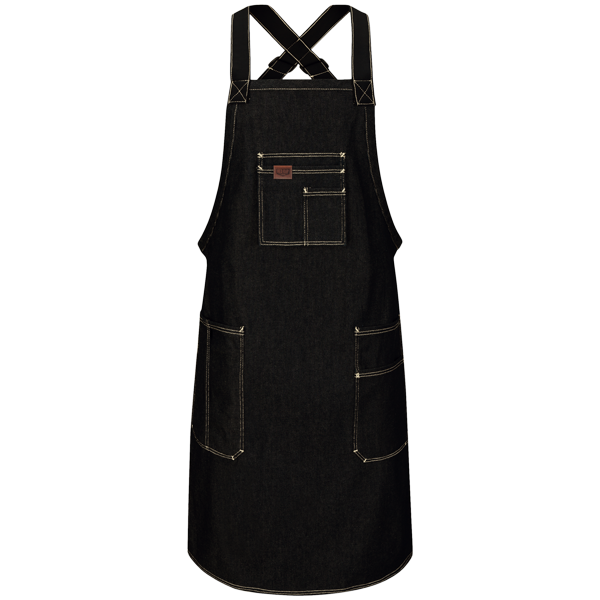 Built from super-tough denim that only gets better with time, this apron features adjustable suspender back with side release buckle closure helps evenly distribute weight. Lots of pockets serve your storage needs, including a hinged top pocket that moves with you when bending over vehicles. Oversized pockets are strategically designed to hold common shop products. Henged top pocket moves with you as you bend over vehicles. 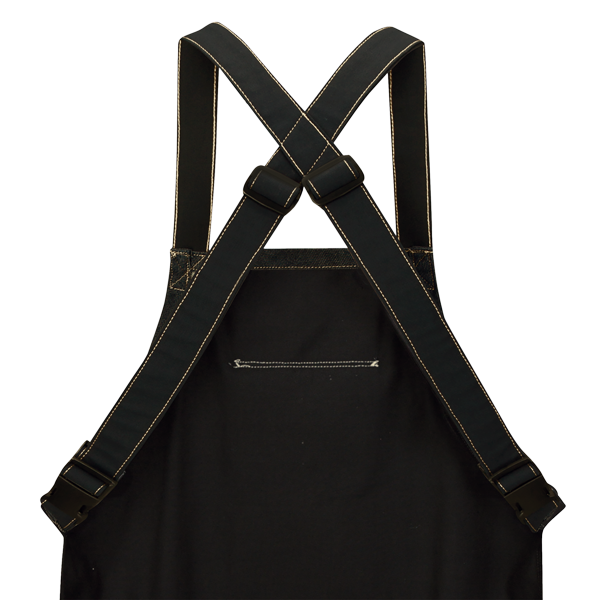 Adjustable suspender back with side release buckle closure helps evenly distribute weight. Double-needle stitching with contrasting thread for a modern look and additional durability.